In a specialized industry such as ours, customers must be confident that they can trust the knowledge and expertise of the company they are purchasing from. There are several dimensions to our business model that keep the customer as the focal point, and makes purchasing graphite and carbon materials as simple as possible. Getting you the graphite and carbon products you need when you need them is essential. We work directly with you to determine the optimal lead time to ensure you get a new shipment when it’s needed. 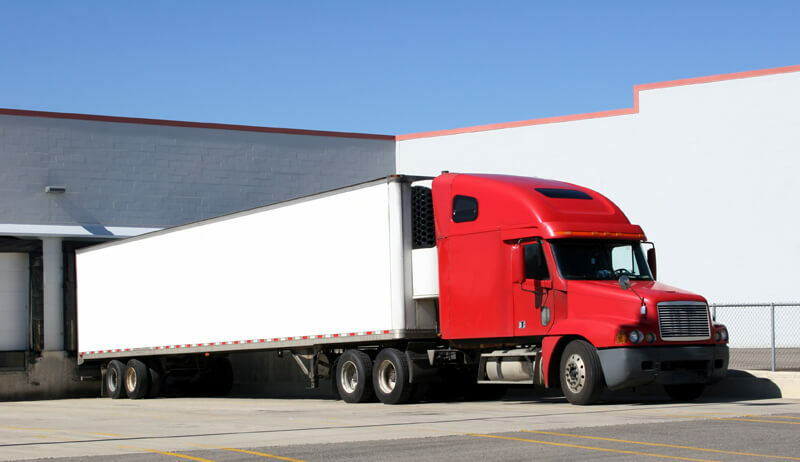 When it comes to logistics, we’re experts, so you can be confident that you’ll be offered the most cost-effective and secure shipping options. For international shipments, we will provide any necessary customs documentation and handling. It’s all about integrating your logistics needs with our processes to maximize efficiency. 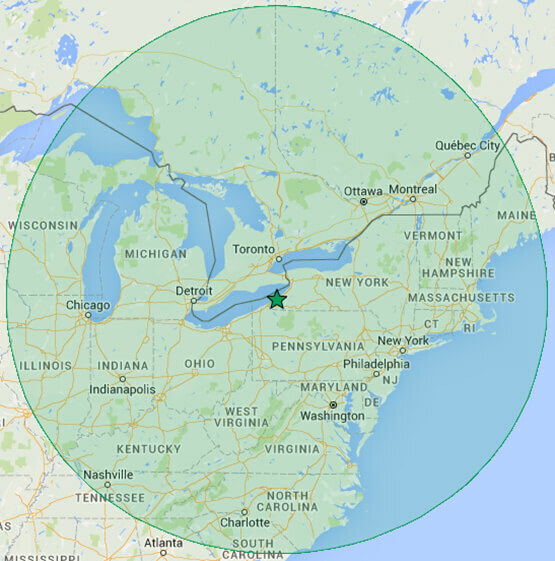 Our company headquarters is conveniently located within a 600-mile radius of nearly 60% of the U.S. and Canadian populations, which makes it easy and less costly for us to manage your supply chain and get you the products you need quickly. With any of our products, a one-size-fits-all strategy doesn’t work. Some months you might need to purchase more or less than the previous month, and that’s ok. We accommodate your varying needs and goals by taking a flexible and customized approach to production and logistics. 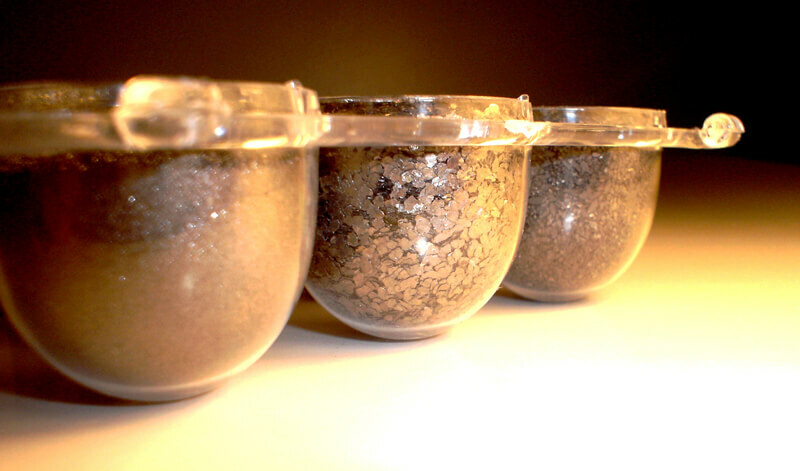 To meet your application and production needs, we offer products in an array of particle sizes. From as little as 3 microns to a coarseness of up to 3.175mm, there’s sure to be an offering that will accommodate any product you’re manufacturing. 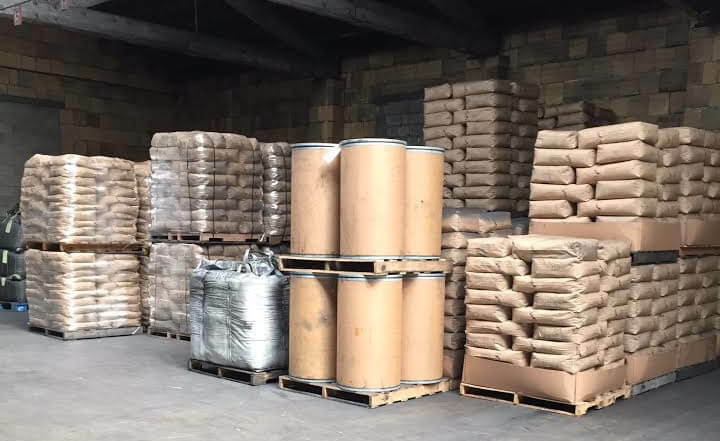 We work directly with your production, purchasing, and logistics departments to determine your ideal inventory level and make sure you receive the proper quantity of materials when you need them. Once you purchase a material from Carbon Graphite Materials, we don’t simply set and forget our relationship. It’s much more than just delivering a product. We work with you to identify the right solutions for your business and develop an efficient supply chain. Ultimately, your business drives our business, so we focus on establishing a mutually beneficial relationship. We will work together to customize the proper batch size for your production needs. Any products shipping in an ISO 9000 organized process through color-coding and custom tagging, and integrating your production needs into our processes. Purchasing the right product is just the beginning; now you have to implement it into your production process. We make it as easy as possible by learning more about your research and development goals and integrating them into our manufacturing. 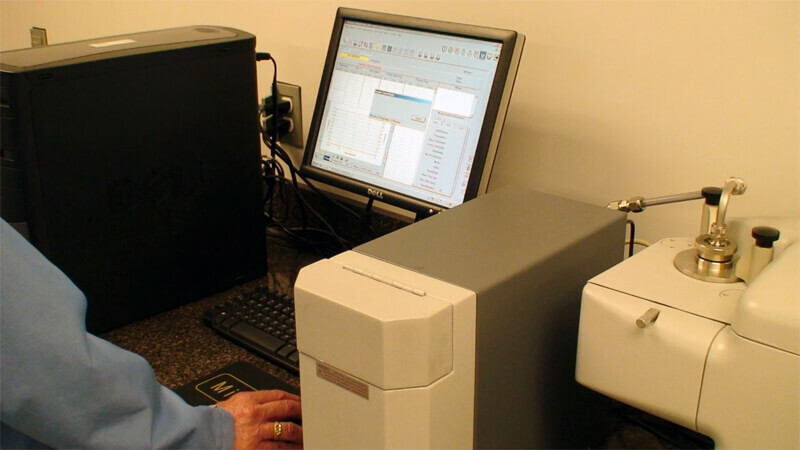 We also conduct documented testing of all materials to ensure quality and accuracy. Customer service involves every single employee in our company, including the executive team. If you ever have a question or problem, we are easily accessible and will work to provide you an answer or solution as quickly as we can. Producing any product requires a very specific amount of each input. There’s no room for error. That’s why we strictly follow quality control processes to make sure you get a consistent product every time. We stand behind the quality of our materials and the ability to use them across a variety of applications. As an ISO 9000 certified company, all of our employees are expertly trained to deliver value to our customers. And if you’re not satisfied, neither are we. We regularly review our production and handling processes to maximize product quality and consistency, and we communicate these reviews with you to ensure we are all on the same page. If we uncover any issues, we will tackle them immediately and communicate with your team every step of the way.